The first time I tasted parsnips — and I’m embarrassed to admit that it was not all that long ago — I was astounded. To say that parsnips are like the freshest, sweetest, spiciest carrot is too simplistic. 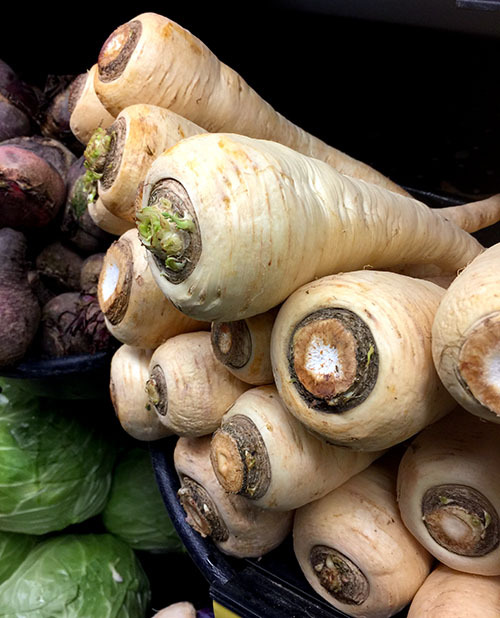 The complexity of a parsnip’s flavor is far more reaching. Slicing into their very firm crispness, one is met with a release of that sweetness, sure, but also a whiff of ginger? Mustard, too, and maybe the subtle spiciness of mild horseradish. And this is just the smell! To taste the parsnip is all that much and more. 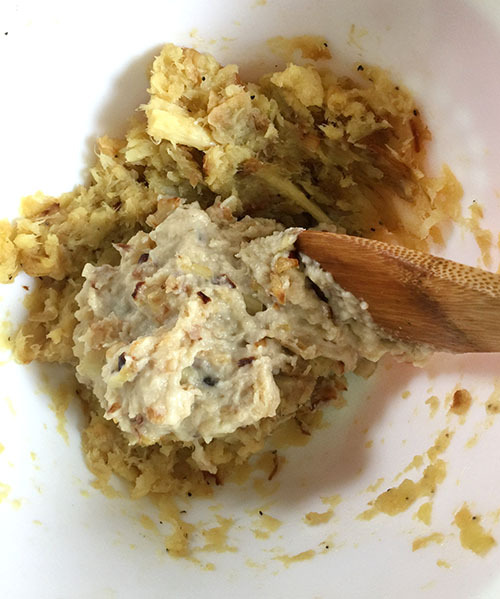 I became a huge fan from my first bite and have done what I can to consume them regularly, whether roasted, blended with potatoes, pureed into soups. It’s never disappointing to make this root a part of my meal, and its flavors make everything else next to it pale in taste. No seasoning is even necessary — a little salt and pepper will do just fine. 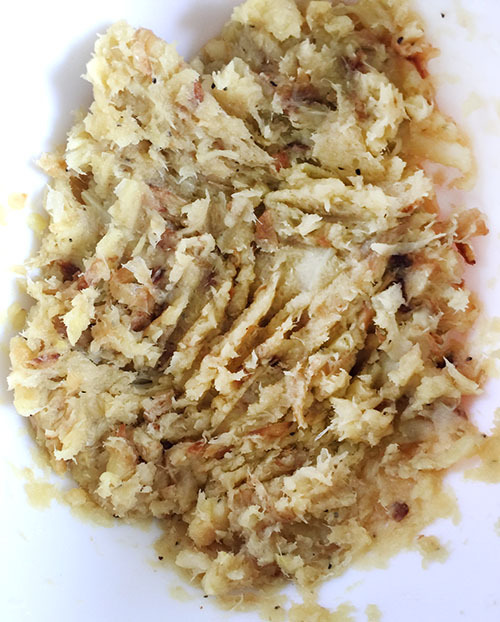 When a colleague recently shared a magazine with some “pub grub” recipes that included one for “Parsnip Patties,” it sent my tastebud imaginings spinning. Not only do I obviously love the parsnip, but I’m also one who is more than willing to make a fried patty out of nearly anything. It seemed a perfect, light veggie recipe for spring. 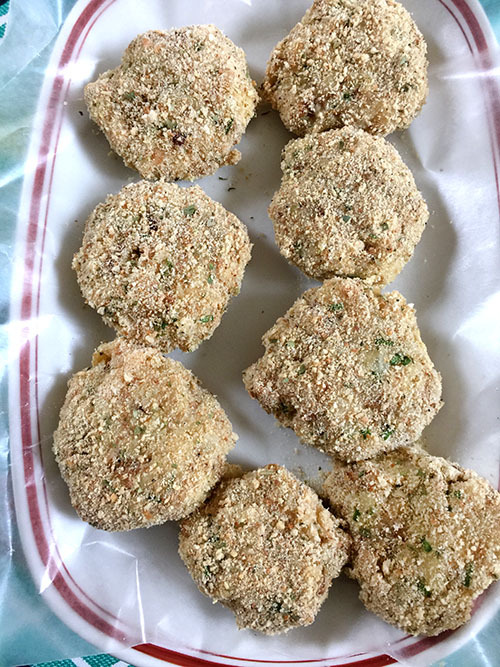 I looked at this recipe and others around the Web and decided to do a fusion to make my own version of parsnip croquettes. 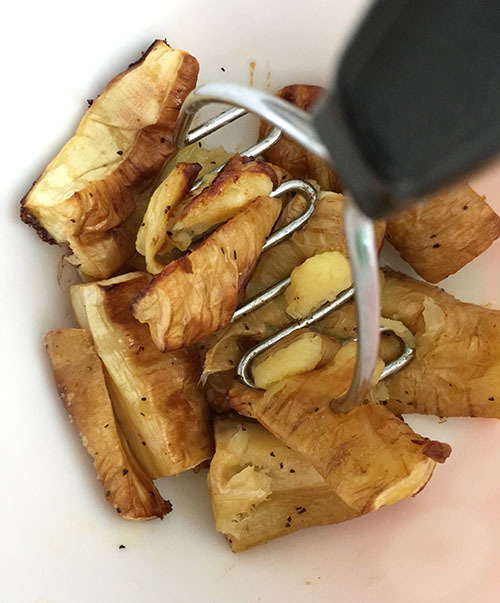 I strayed from some of the recipe suggestions; for example, I didn’t peel the parsnips (part out of laziness and part because I really love the taste and texture of the peel on parsnips and carrots), and, rather than boiling them, I chose to roast them, which I believe brings out the best in any vegetable. The peel, I suppose, made mashing the parsnips a tad more hairy, but the parsnips themselves are more fibrous than a potato or carrot, so it took a bit of elbow grease to get them adequately smashed. 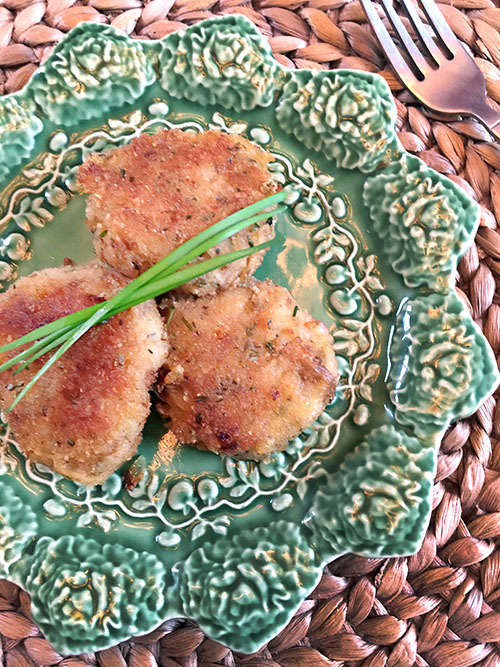 What I found interesting and decided to incorporate from one of the recipes is that, rather than using an egg or some similar type of binder for the patties, one can make an onion-y béchamel sauce, by sautéing onions, adding flour to make a light roux, then milk to conjure a thick sauce. 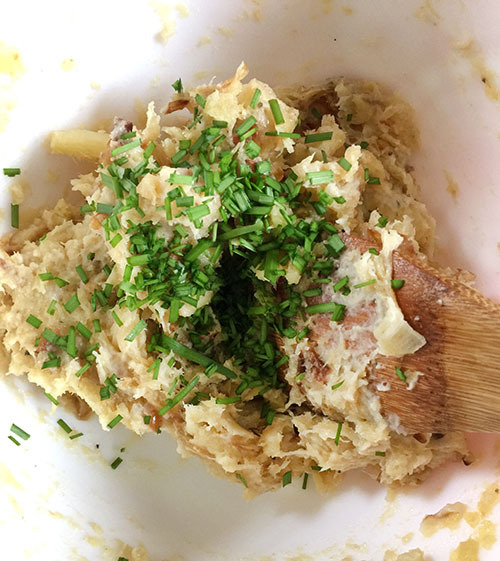 The sauce is added to the mashed parsnips and mixed in, along with some chopped chives (I have garlic chives in a pot of the front of my house…it keeps the neighbors guessing when I go out there with scissors and snip). 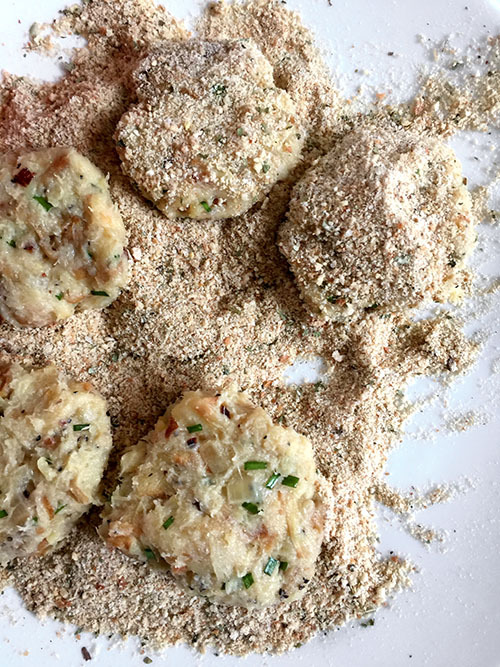 The recipe instructed to form four patties…I thought I could make them smaller and more manageable and also have more to eat (or at least looking that way). I ended up with nine patties, which I coated in Italian-style breadcrumbs (one could use plain or any fresh breadcrumb, too). 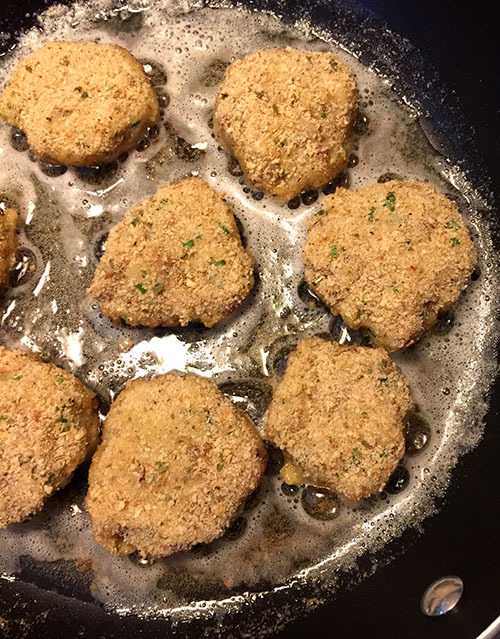 The patties fried up beautifully golden in hot oil and melted butter. It was all I could do to resist attacking them, even before they were plated. It occurred to me that some kind of sauce would be nice — maybe a honey mustard, an herbed mayo or a dill-horseradish — to dob on these beauties, which I ended up devouring with nothing more than my fork, their crunchy crusts giving way to tender, rich sweetness. Because when you’re eating parsnips, nothing more is needed. Heat oven to 400 degrees. 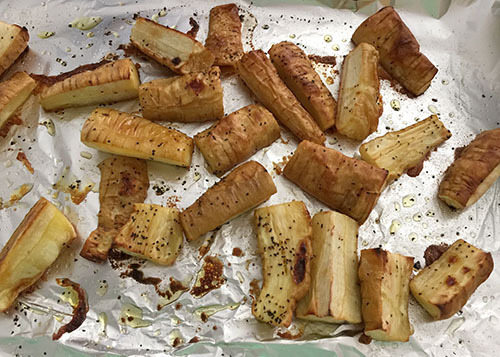 Spread chopped parsnips onto a large baking pan. 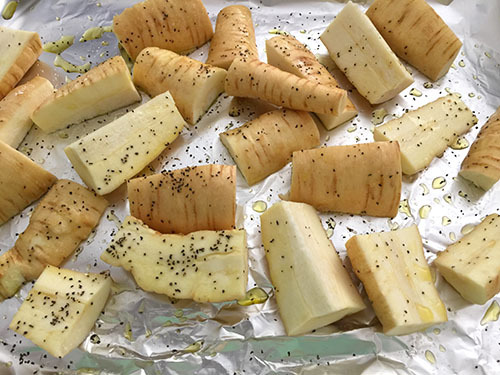 Coat the parsnips evenly with olive oil; sprinkle iwith salt, pepper and garlic powder. Bake for 30 to 35 minutes or until tender when pierced with a fork. Set aside to cool. Place roasted parsnips in a large mixing bowl and mash with a potato masher or large fork. 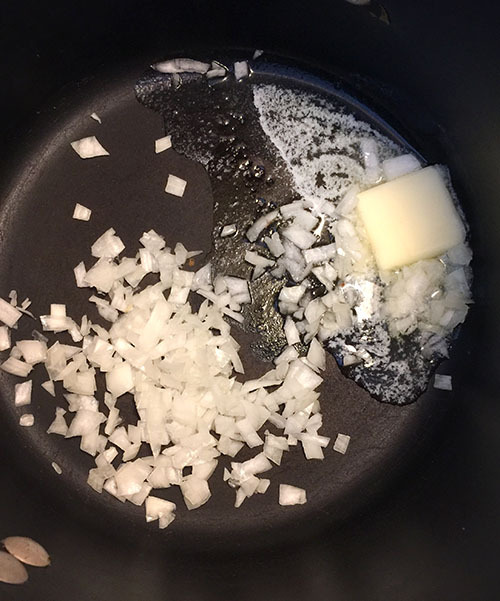 In a large sauté pan, melt two tablespoons butter over medium heat. Add minced onion or leek and cook until translucent, about 5 minutes. Whisk in the flour, cooking for about 1 minute. 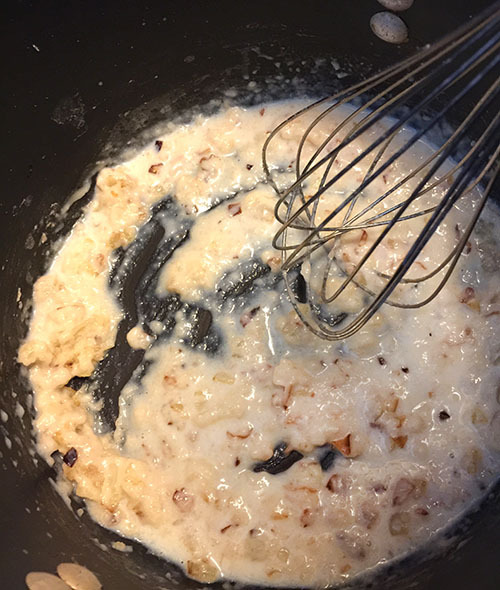 Whisk in the milk; cook until mixture has thickened. Add this to parsnips in the bowl, along with the chives and mix together. Add salt and pepper to taste. 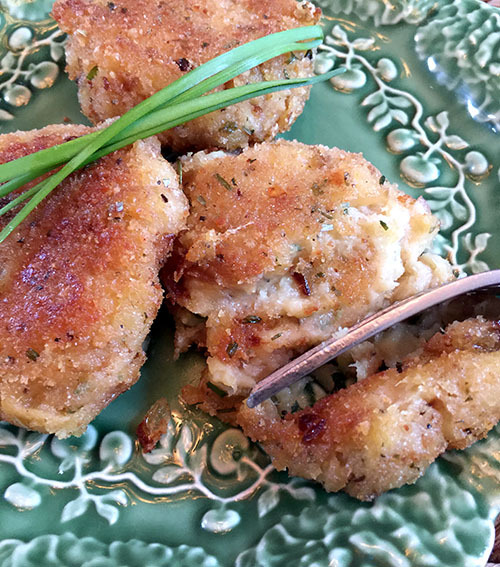 Spread breadcrumbs onto a flat dish or plate. Form parsnip mixture into about eight patties. 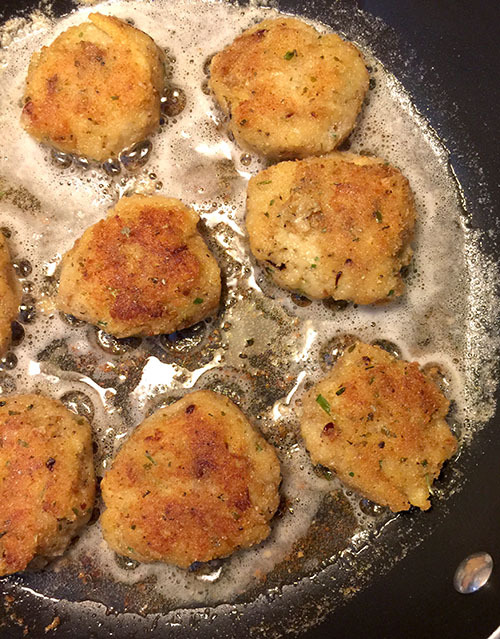 Place in breadcrumbs and coat evenly. 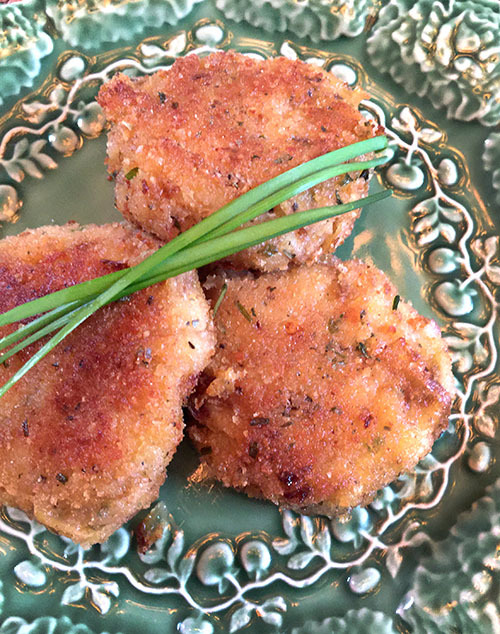 Put the breaded parsnip patties on a plate lined with waxed paper and chill at least 15 minutes in the refrigerator. Heat remaining two tablespoons butter and oil in a large skillet over medium-high heat. Add the parsnip patties and cook until golden brown, about 5 minutes per side. Serve garnished with additional chives, if desired.